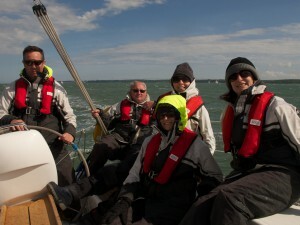 The concerns over bad weather had been overstated and we enjoyed a fabulous weekend sailing. After a leisurely breakfast we slipped our moorings mid morning, headed up into Portsmouth Harbour for some steering practice and then out across to Bembridge under sail. We lassoed a mooring buoy off Seaview and had lunch. The rain stayed away but the winds were relatively strong gusting occasionally at F6 so we needed to be careful. Helen and I were the only sailors with any experience we so didn’t want to take any chances. 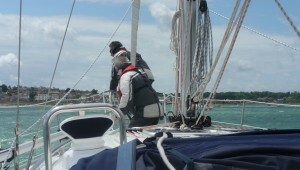 With two reefs in we sailed a lovely beam reach up towards Cowes and then onto the Beaulieu River. 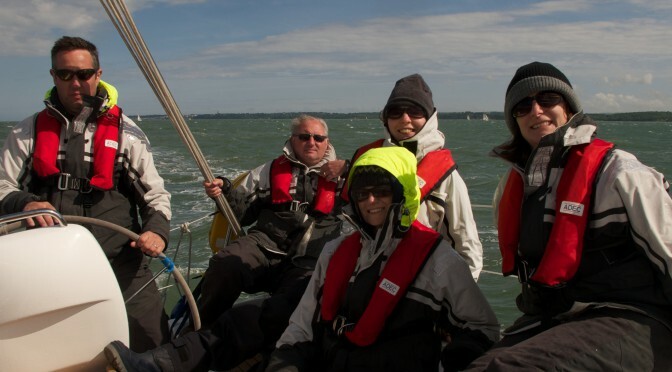 A few weeks ago I sailed into the Beaulieu but that was with a crew of four Day Skippers and even we found it challenging. So taking no chances this time, we dropped the sails well off Lepe Spit SCM. As soon as the sails were down, the effect of the swell on stability surprised us – it really was very difficult to control. 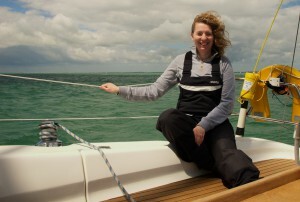 With at least some sail up the dominant force on the boat is the wind, keeping her relatively stable. But with the sails down this changes to the sea state and Tim had to work hard to control her. Helen lined us up with the Lepe House/No. 2 Beacon transit into the Beaulieu and we had a very calm cruise upriver for around 20 minutes before finding the harbour master in his tender and being allocated a shore berth. It wasn’t long before we cracked the beers open and got ready for dinner at the Master Builders.